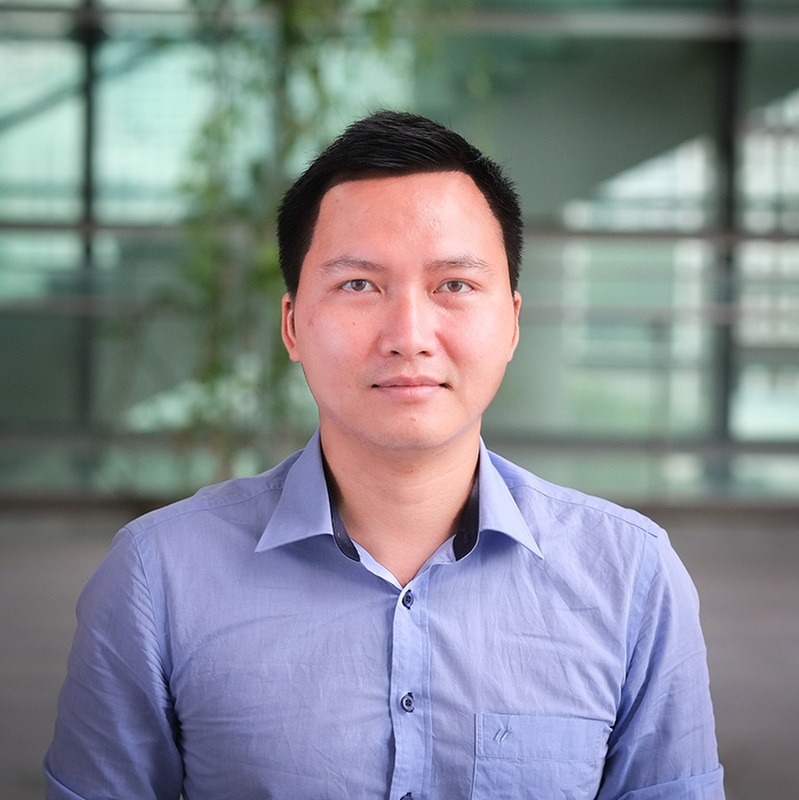 Teron Nguyen graduated from Danang University of Science and Technology (DUT), Vietnam and did his Master of Science in Transportation Systems at Technical University of Munich (TUM), Germany. In January 2015 he joined TUMCREATE Phase I for the project “Precast concrete pavement systems for electrified roadways” and has been working as a Research Associate until now. He is also a lecturer at the Faculty of Road and Bridge Engineering, DUT. He is passionate about doing research on Road Design & Construction as well as Traffic & Transport Engineering. Special research interests are Road Geometry Design, Pavement Design, Micro- and Macroscopic Traffic Simulation, Traffic Demand and Modelling. Start working from TUMCREATE Phase I, Teron Nguyen participated mainly on two projects “Study and Optimize layout (3D Geometrical design) of Precast Slab Pavement” and “Study and Optimize Installation Procedure – Impact on Traffic Flow”. He also worked with other colleagues in the Protective Engineering Lab and Pavement Engineering Lab in Nanyang Technical University (NTU) to test the structural and functional performance of innovative Precast Slab Pavement designed especially for Singapore conditions and its application for electrified roadways. In this Phase II, his work is focusing on Road design for the new Semi-rapid transit/Road-rapid Transit (SRT/RRT) system in Singapore, which is based on the Comfort criteria and Dynamic characteristics of the vehicles. The brand new SRT with different configuration will require the adaptation of existing road infrastructure to accommodate it. The interaction between passenger-vehicle-road will be studied throughout numerical analysis using Multibody Simulation (MBS) together with statistical analysis. The results in overall will help to finalize the implementation and success of SRT planning in Singapore as well as the construction and maintenance of existing road infrastructure.